A symphony of sound and sentiment, this Personalized Wooden Wind Chime becomes a custom treasure. 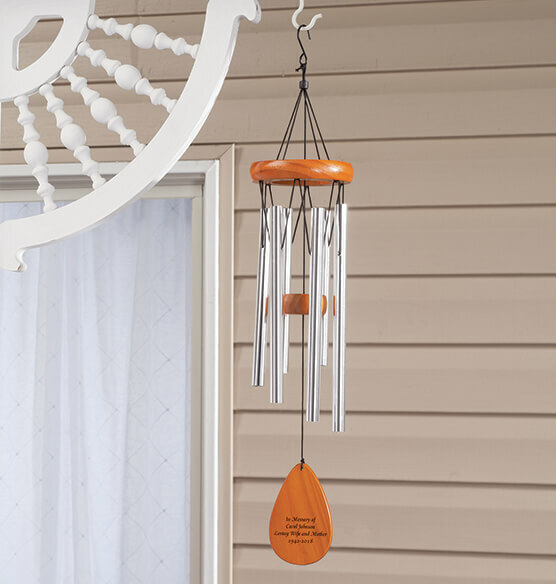 Quality crafted with a solid wood clapper, the wind chime's 6 metal tubes produce clear, exceptional sounds—transforming a gentle breeze into a sweet, soothing melody. 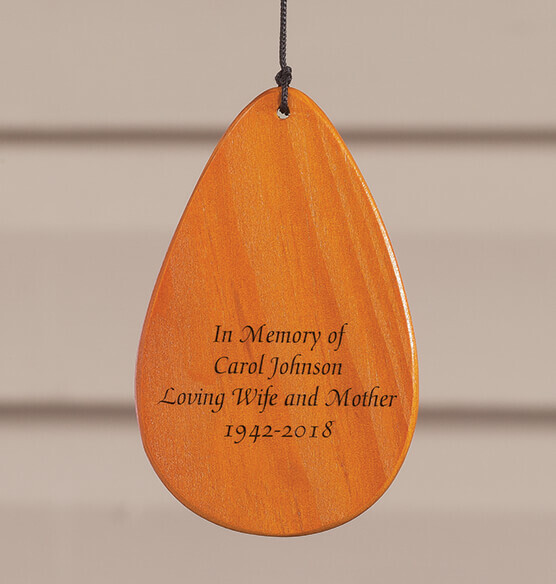 We'll personalize the wooden teardrop-shaped sail, creating a comforting memorial tribute or thoughtful gift for weddings, showers, housewarmings, birthdays and more. Specify personalized message; limit 4 lines, 22 letters/spaces each. 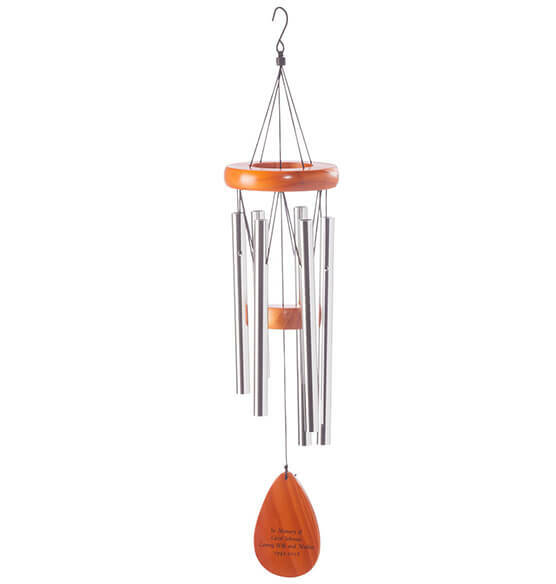 The wood chimes include metal hanging hook. 19" L x 4" dia. 19" L x 4" dia.